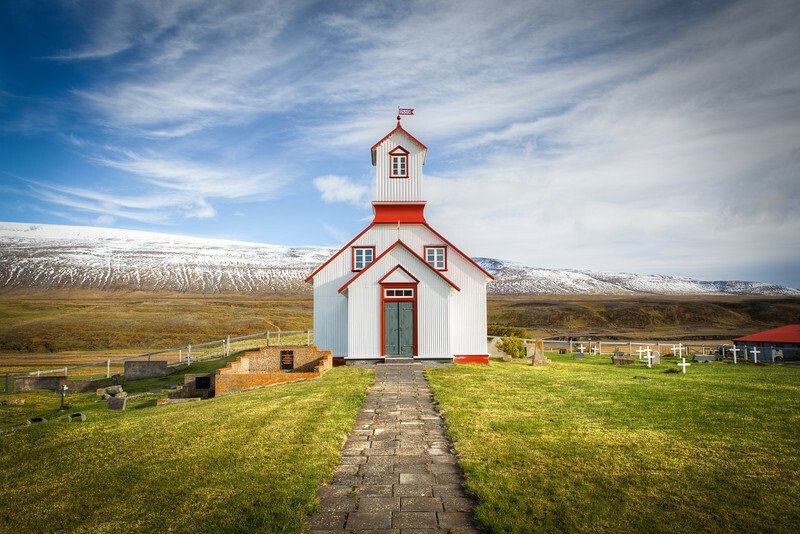 Fine art landscape photography of Iceland, including shots of Jokulsarlon, Kirkjufell, Reykjavik, glaciers, the Aurora Borealis, Iceland churches, and more. 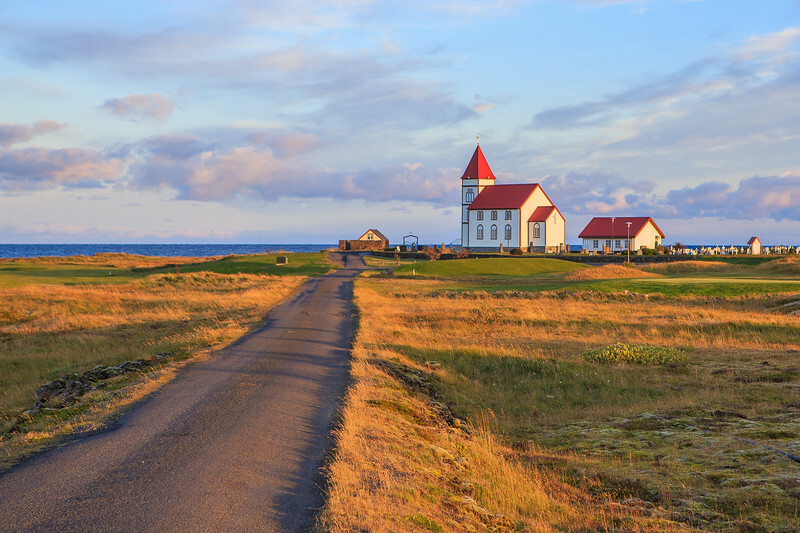 A gorgeous golden sunrise greeted me during my first few minutes in Iceland, so I pulled over at the first side road I could find and took this beautiful shot of Kálfatjarnarkirkja Church basked in a golden glow. 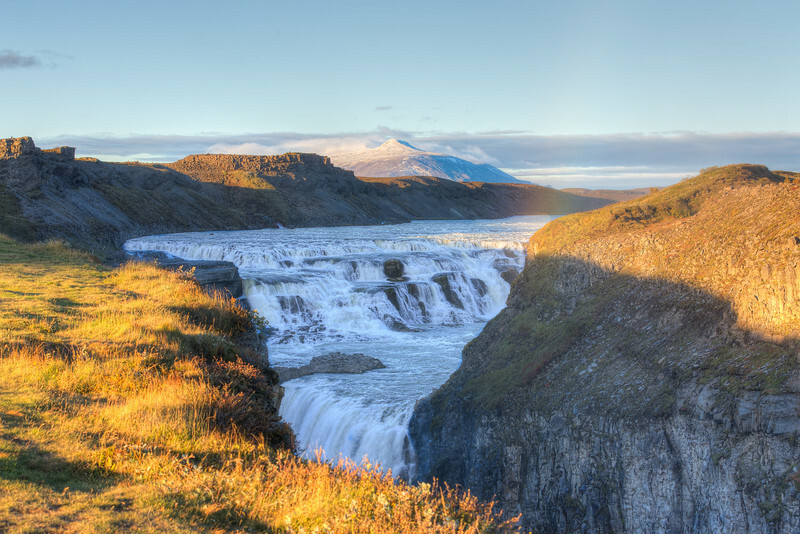 Gullfoss is by far the most famous of Iceland's hundreds of incredible waterfalls, largely due to its location on the tourist-friendly "Golden Circle," which is a 300km loop of some of Iceland's most dramatic sites in an easy day trip from Reykjavik. 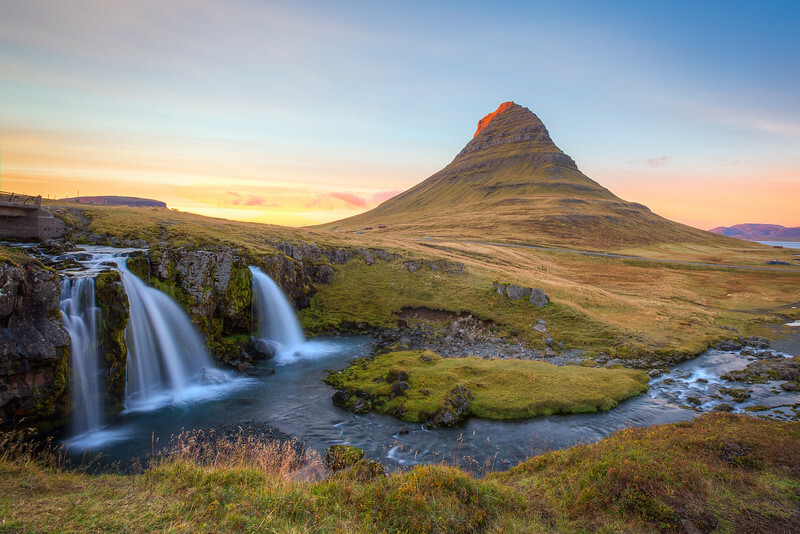 In Icelandic, 'gull' means golden and 'foss' means falls, which is an appropriate name for this gorgeous natural wonder in the glow of the late evening sun. 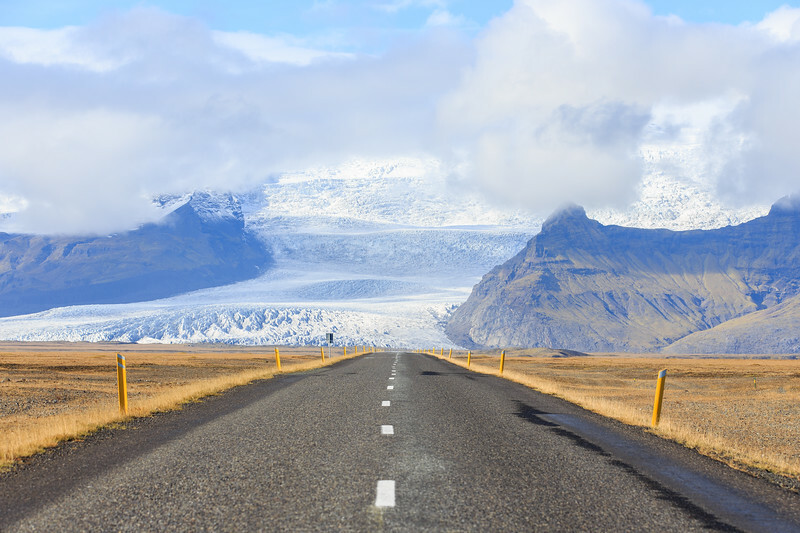 The glacier Hofsjökull (and largest active volcano in Iceland) rises in the background. You can also see a bit of the mist rainbow to the left of the falls. The geyser 'Strokkur' begins to erupt in the Geysir area of central Iceland on its way to an eventual 30m height. 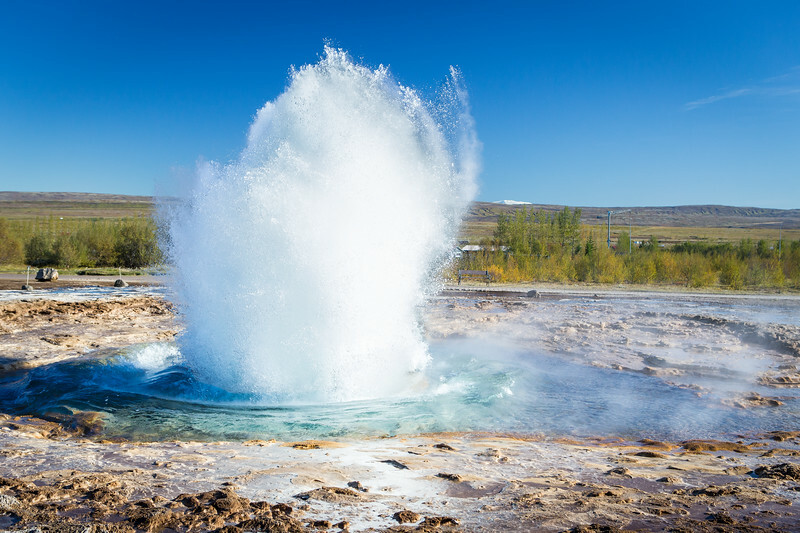 Not to be confused with the Great Geysir (or just "Geysir"), Strokkur erupts far more often--usually every 4-8 minutes. 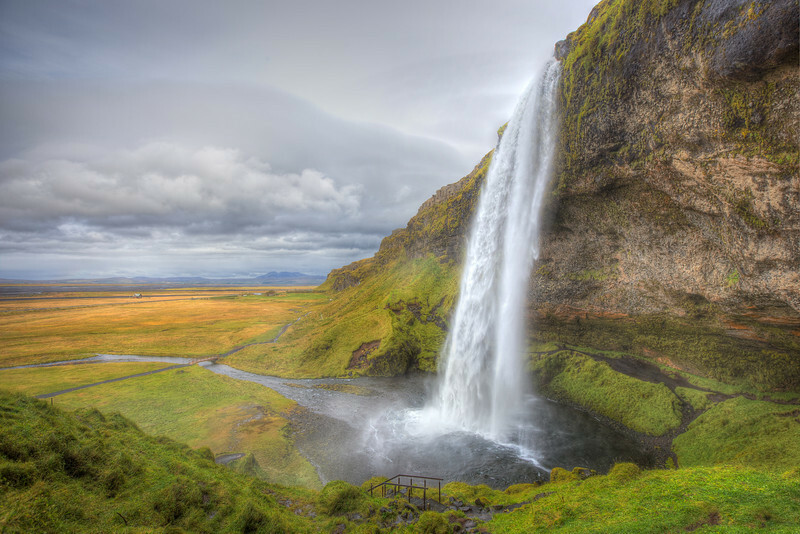 The gorgeous Seljalandsfoss waterfall in West Iceland. The rock outcropping behind the falls lets you walk all the way around it, though you'll get pretty wet in the process. The storm clouds made for an ominous, but beautiful, shot (blue skies are the enemy of good photography, as they say). 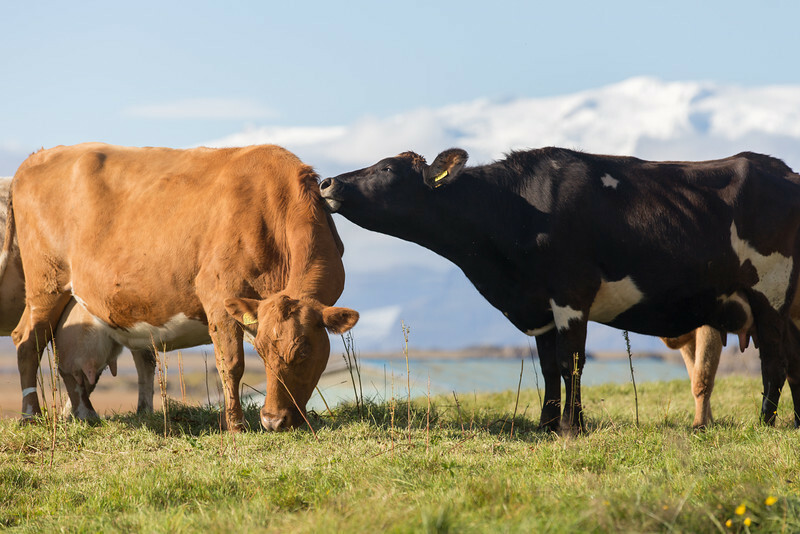 A cow stretches out to plant a big wet kiss on her friend in a ridiculously gorgeous pasture in East Iceland, with the dramtic backdrop of Vatnajökull ice cap riding on the horizon. 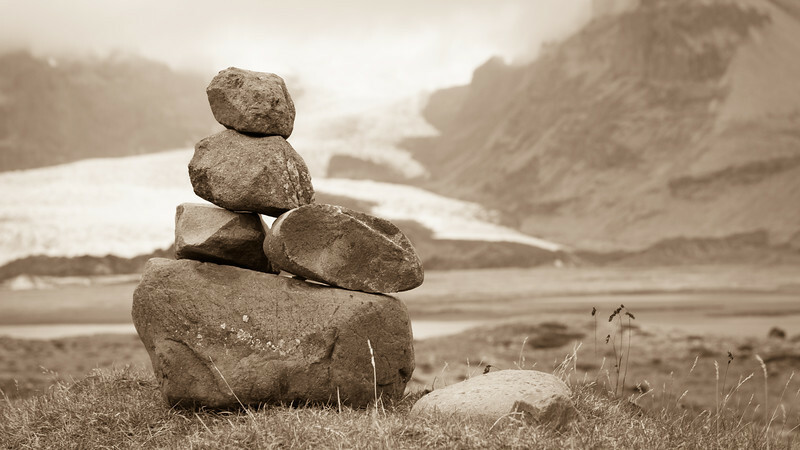 One of the thousands of cairns, or stacks of rocks you'll find throughout Iceland. 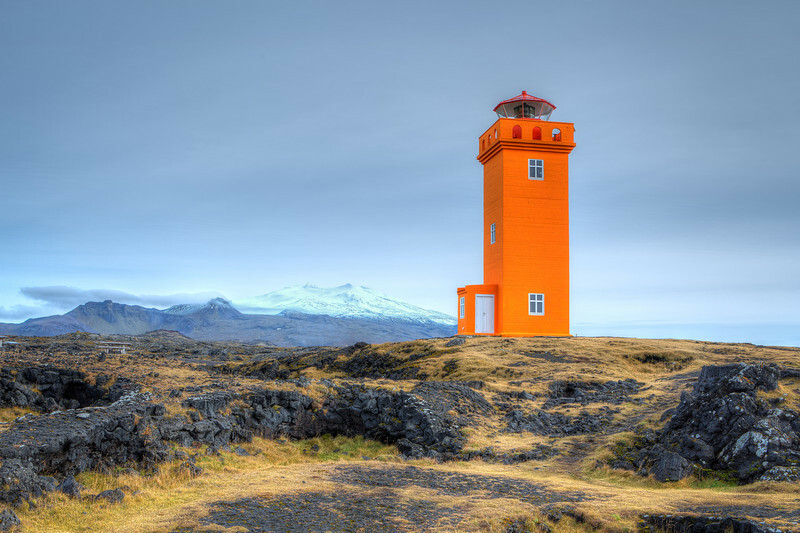 Dating back a thousand years, Icelanders have been creating these stacks as both geographic markers as well as pillars to honor the heroes of the country's famous sagas. 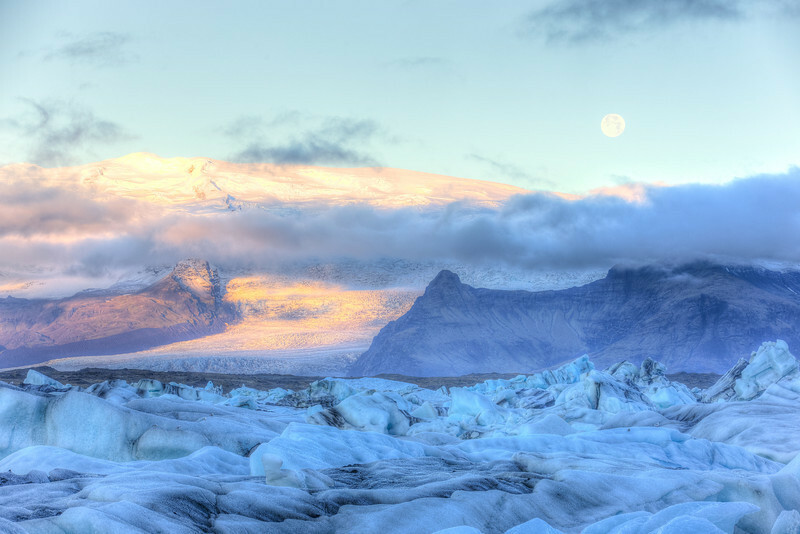 Jökulsárlón Glacier Lagoon is a large glacial lake formed at the base of Breiðamerkurjökull glacier. 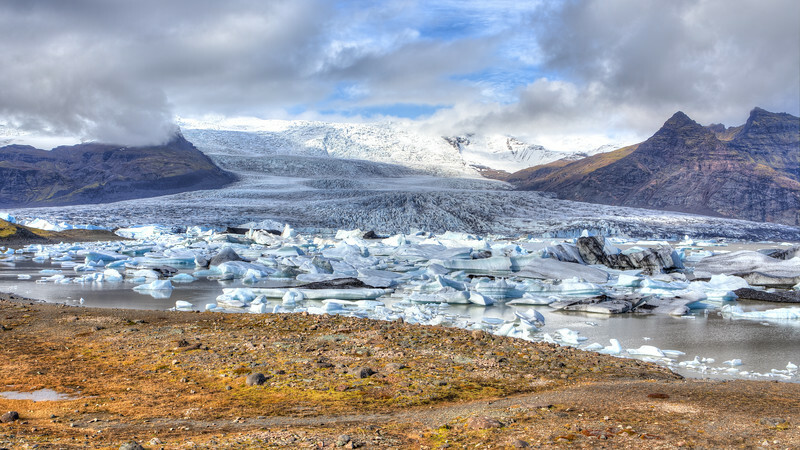 As chunks of the glacier break off, they float through the lake and out to the Atlantic Ocean, creating an incredible natural wonder in the process. 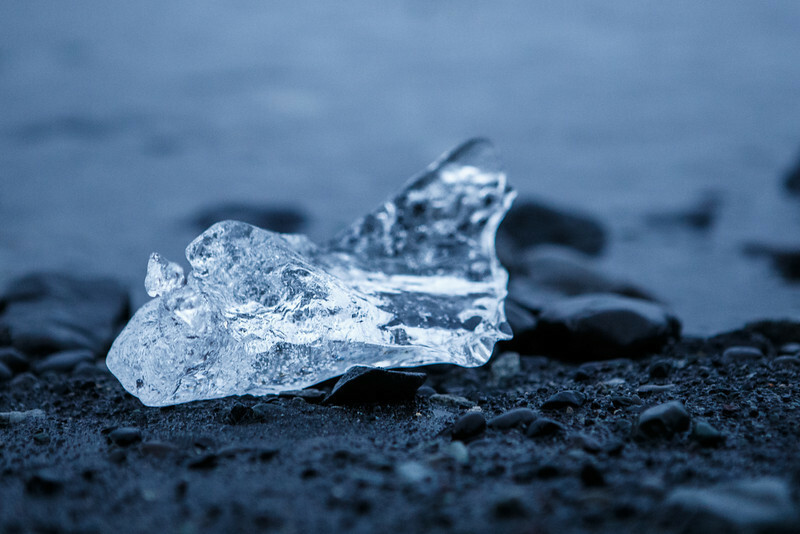 A chunk of ice washed ashore on the black sand beach at Jokulsarlon Glacier Lagoon. 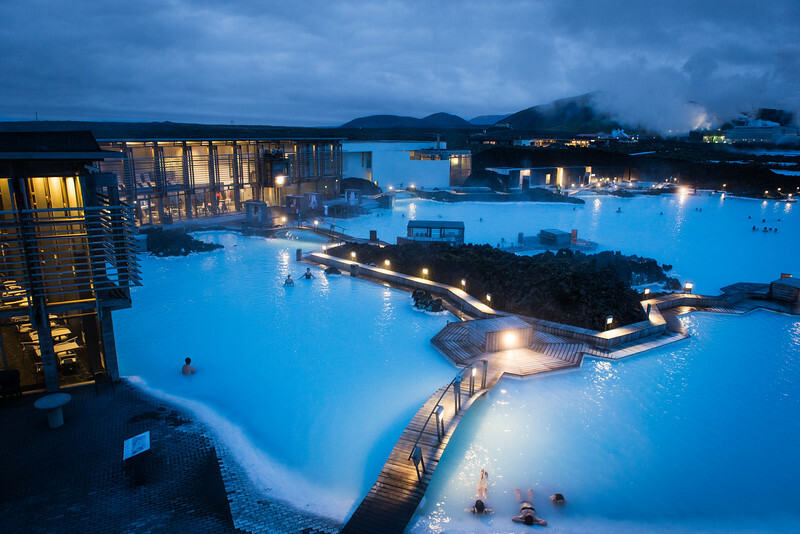 The best word to describe 90% of the landscapes in Iceland is 'dramatic.' 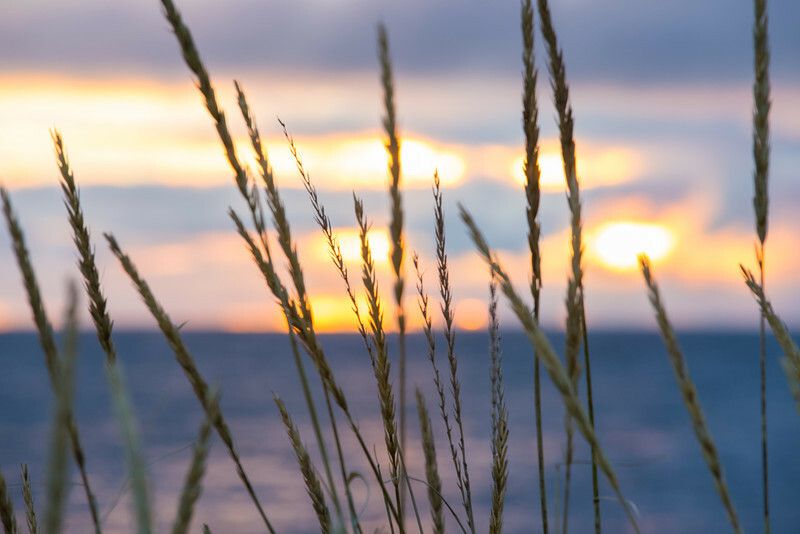 Nothing is ever simply calm and peaceful. 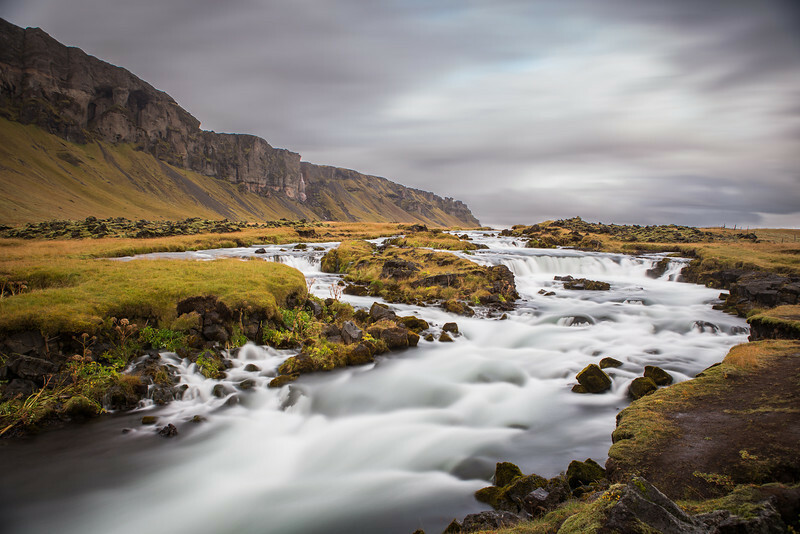 You either have enormous waterfalls crashing off volcanos, steam pouring out of geothermal pockets, or dramatic clouds rolling off of glacier packed mountainsides. 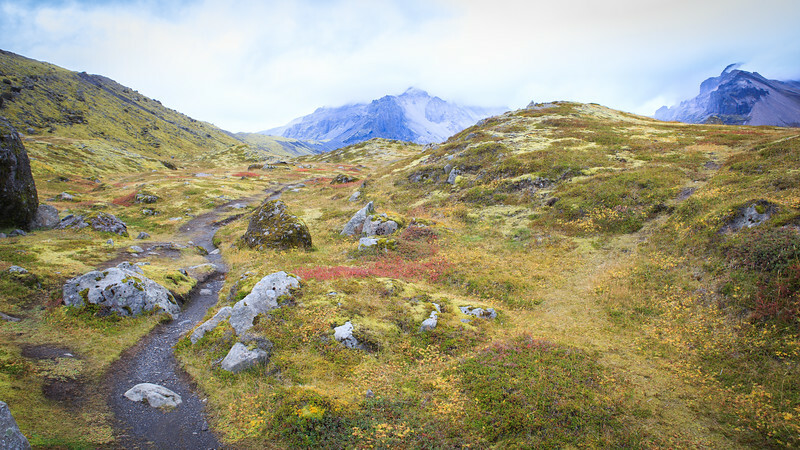 In this shot, a glacier fed stream cuts its way through the otherworldly yellow landscape on its way towards the Atlantic Ocean. 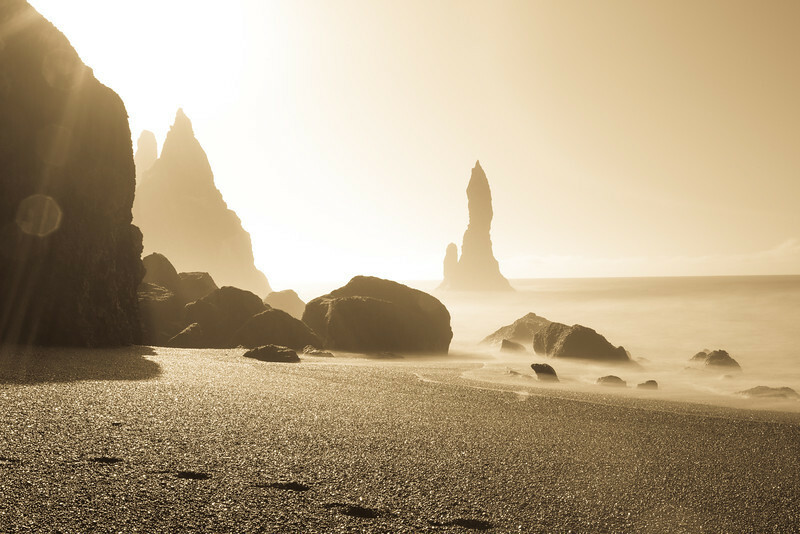 The Reynisdrangar sea stacks at Vik, Iceland. Legend holds that the basalt stacks were formed when two trolls misjudged sunrise while terrorizing a ship, turning them to stone needles for eternity. 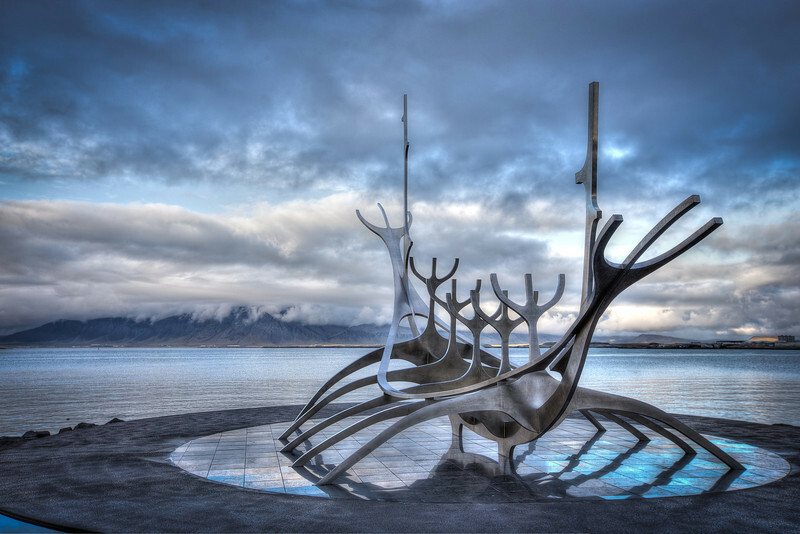 Reykjavik's amazing Sun Voyager sculpture. 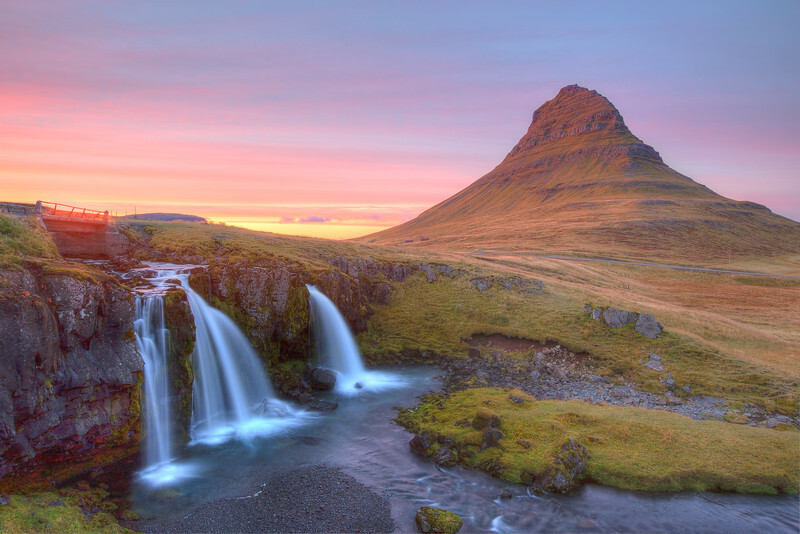 Kirkjufell and Kirkjufellfoss at Sunset, West Iceland. I camped out at the top of the falls for about 2 hours prior to sunset, a bit unsure if the clouds or angle of the sun would give me anything to work with. In Icelandic fashion, some high layered clouds started rolling in right as the sun set behind the mountains behind me, creating an incredible colorful and memorable sunset at the most beautiful place in Iceland. 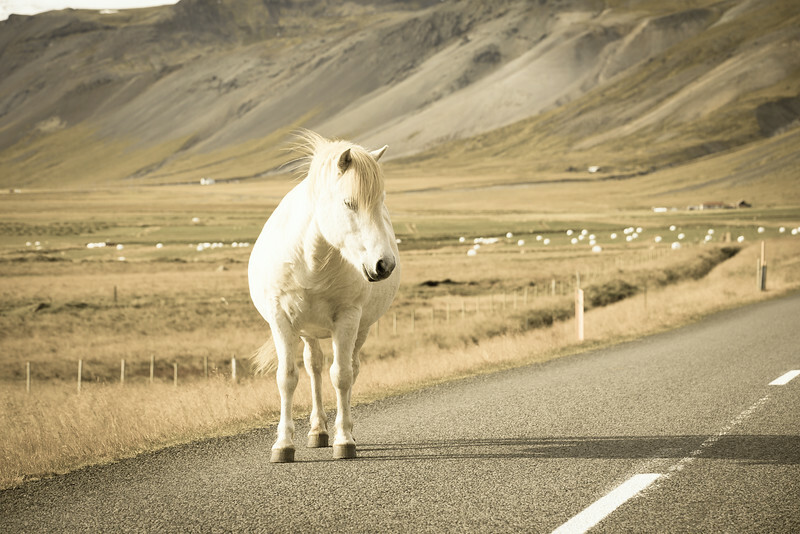 One of my favorite shots of all time, but then Iceland has the tendency to make it easy to take those. 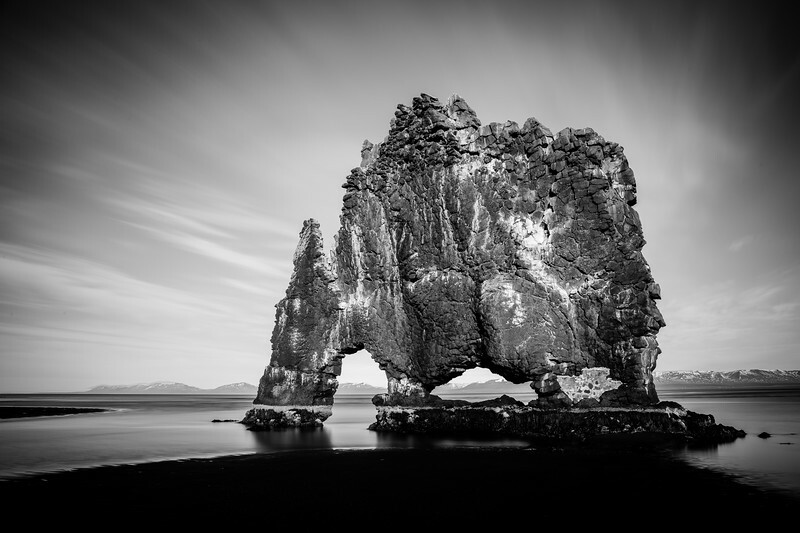 The massive rock formation Hvítserkur off of Iceland's Northwest coast. 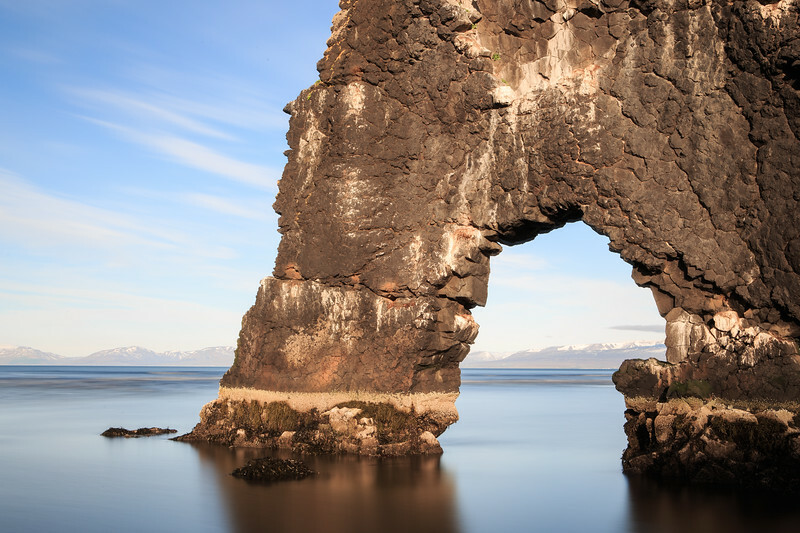 The majestic Hvítserkur rock formation stands tall as the tide begins to rise in Northwestern Iceland on the Vatnsnes Peninsula. 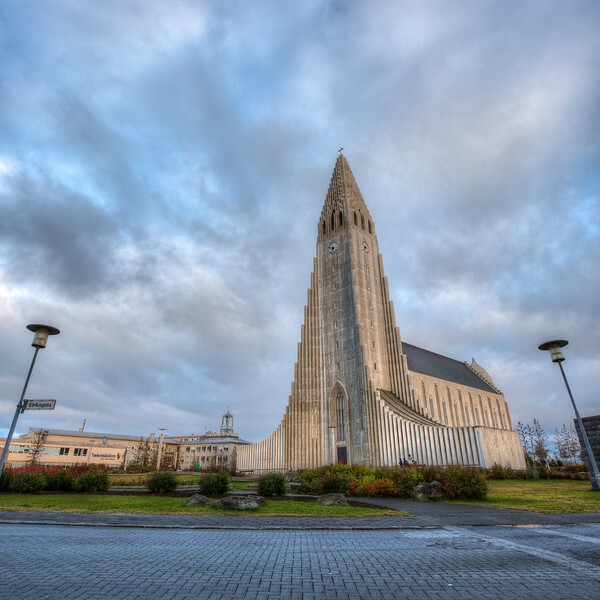 Reykjavik's largest church rises dramatically above the city with its signature architecture. 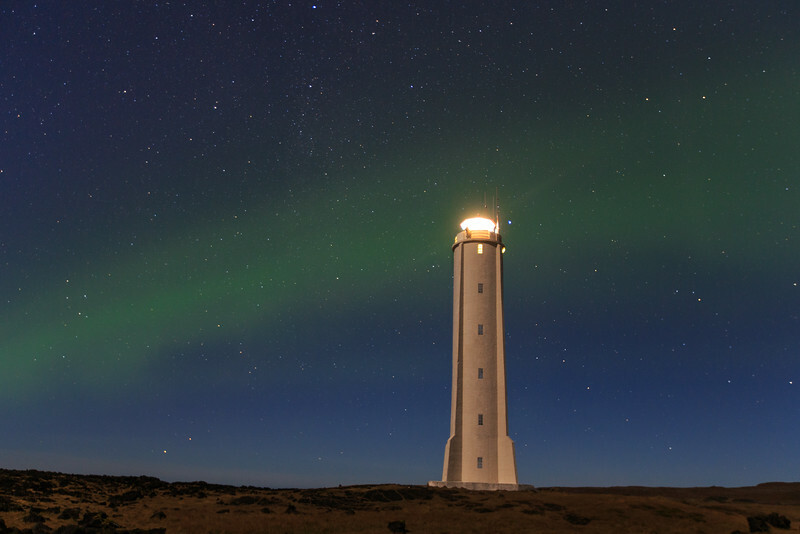 The Aurora Borealis streaks behind Malarrif Light on the Snaefelsness Peninsula in Western Iceland. There's nothing as strangely peaceful as listening to the deafening roar of a waterfall drown out everything else around you. 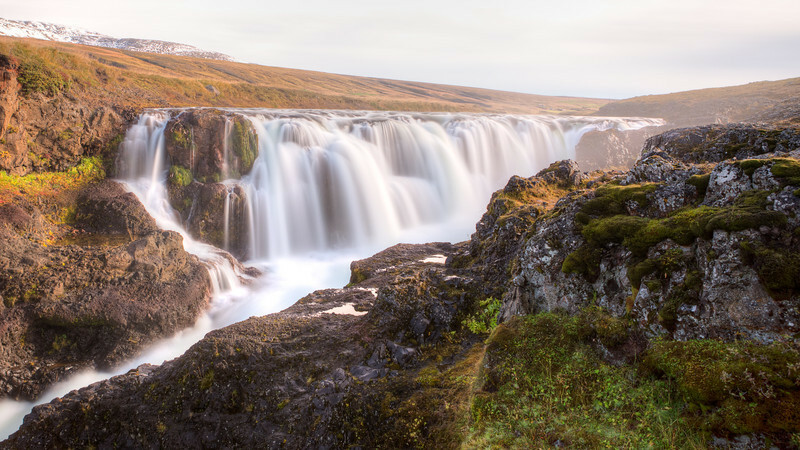 Alone time with the majestic Skogarfoss in off season is an incredible experience. While so many people are currently spending their days and nights taking in the view of store parking lots and Black Friday lines, get out there and treat yourself to a real adventure. You won't have to wait in a line and the reward is far greater. Happy Thanksgiving everyone! 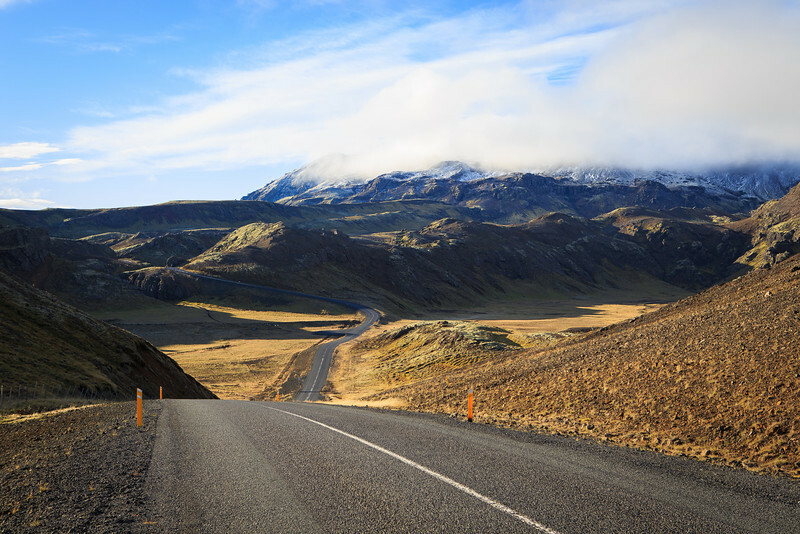 The landscape of Iceland is like nothing you've ever seen. Soft green vegetation covers much of the ground, with myriad colorful plants mixed in. 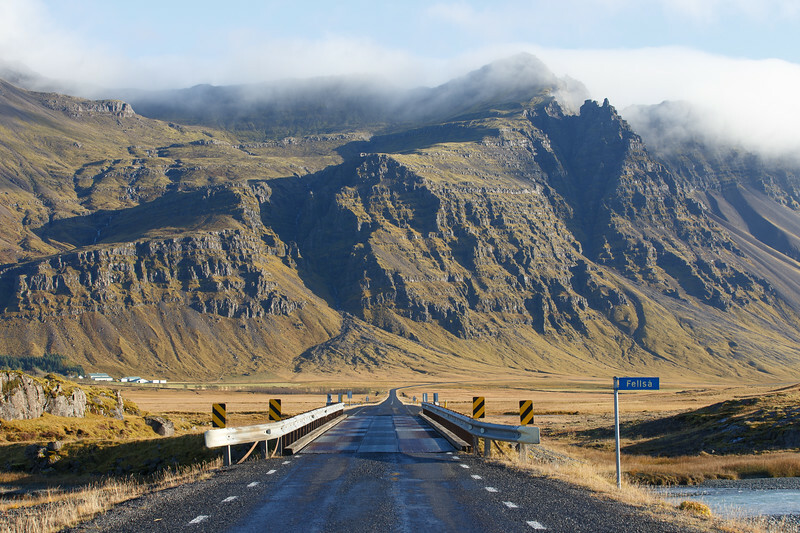 Iceland's Ring Road crosses one of thousands of small streams flowing from glacier to ocean, as it meanders towards the towering mountains in the distance, while clouds roll over their peaks. 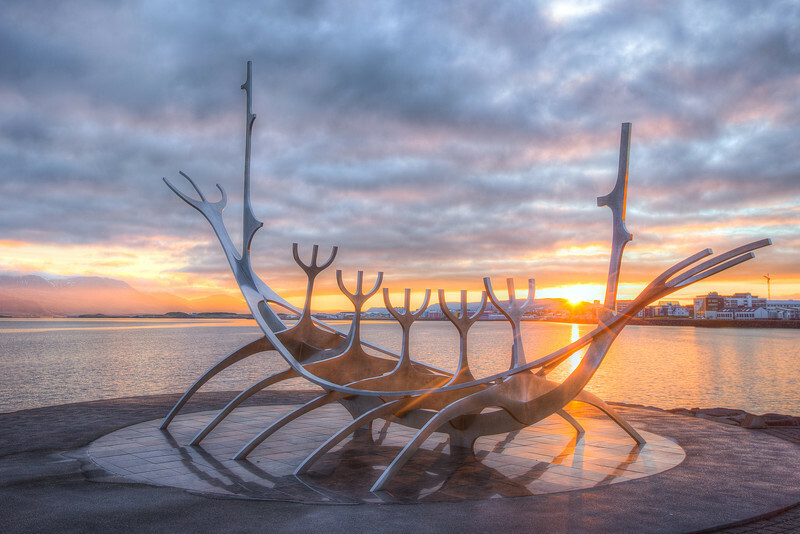 Another shot of Reykjavik's famous Sun Voyager sculpture, shot a handful of hours after the sunset version. I was worried that the otherwise dreary day would make for poor shooting conditions, but the stunning burst of orange through the thin gap between clouds and horizon made for an incredible morning display. 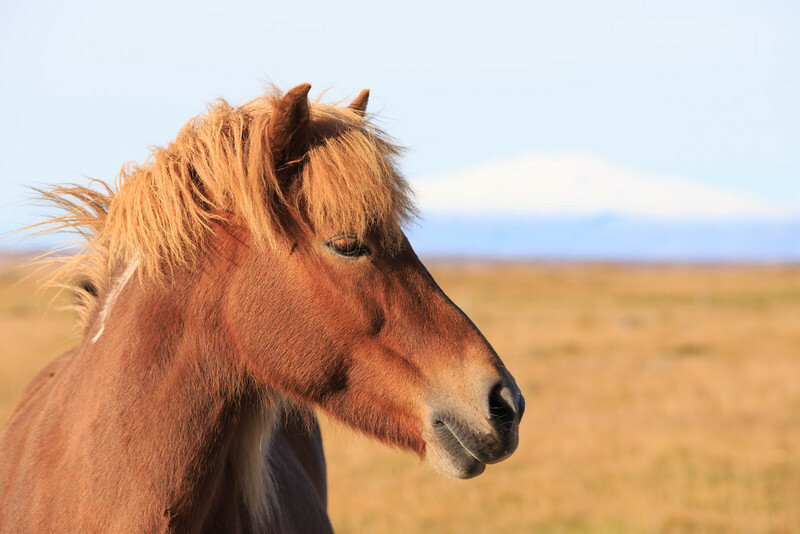 One of the friendliest and most majestic animals you'll meet, the Icelandic Horse is a huge source of pride across Iceland, and gives the already amazing landscapes an even more surreal feel. Snaefelssjokull volcano & glacier rises subtly in the background. 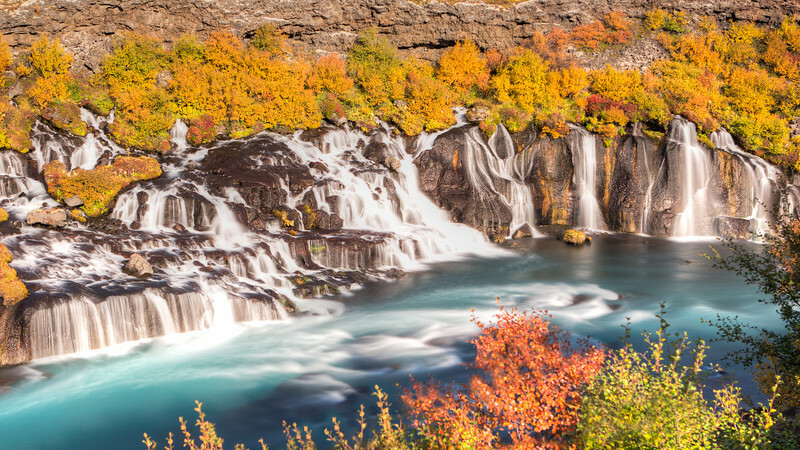 I only found out about this gorgeous Icelandic waterfall when grabbing lunch at an empty restaurant, and talking to the owner's son about the sights in the area. He gave me some detailed directions down a few old farm roads, and sure enough, there was this awesome, and fairly large, waterfall spewing out of the Earth in the middle of what looked to be just a farm field. This country never ceases to amaze. I was revisiting my Iceland Aurora shots tonight, and came across this awesome landscape I had overlooked on my first pass. 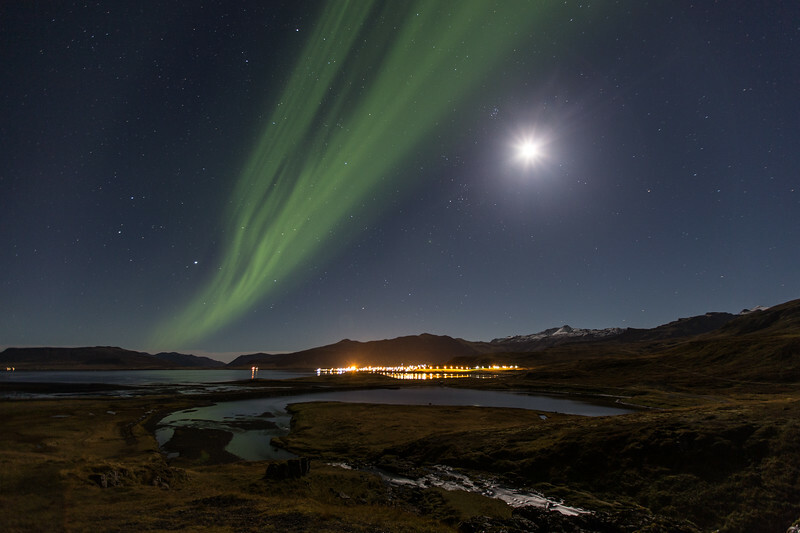 The combination of the fishing town lights, the aurora reflecting off the bay, the full moon, and the double moon halo is just over the top. 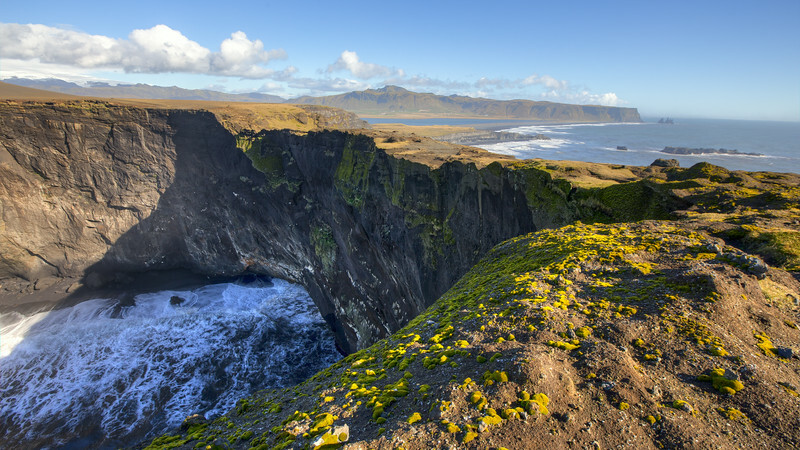 A view from the end of Dyrholaey rock formation near Vik, Iceland. The dramatic rock peninsula extends 120m into the Atlantic Ocean with two rock arches allowing the swirling ocean to crash through it. 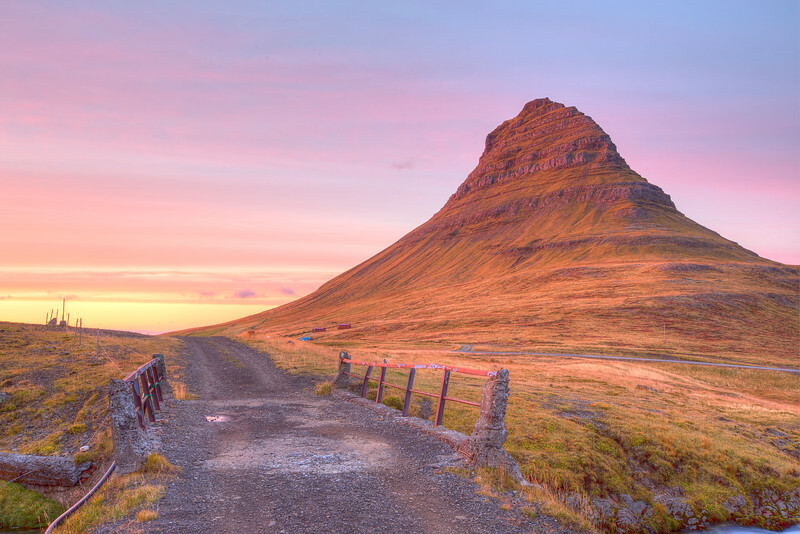 The setting sun fades behind the nearby mountains, leaving only a sliver to illuminate Iceland's famous Kirkjufell mountain, creating a 'red hat' at its peak. 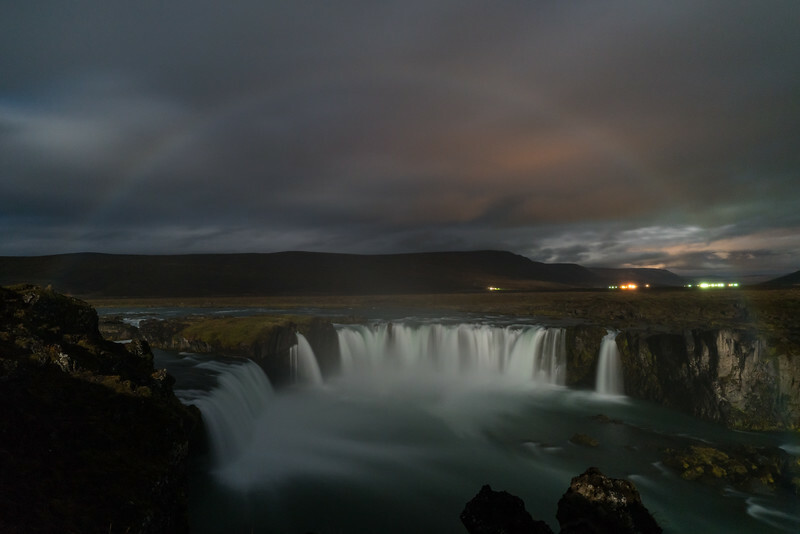 A rare moonbow arcs from beginning to end in the mist over Godafoss waterfall in Northern Iceland. 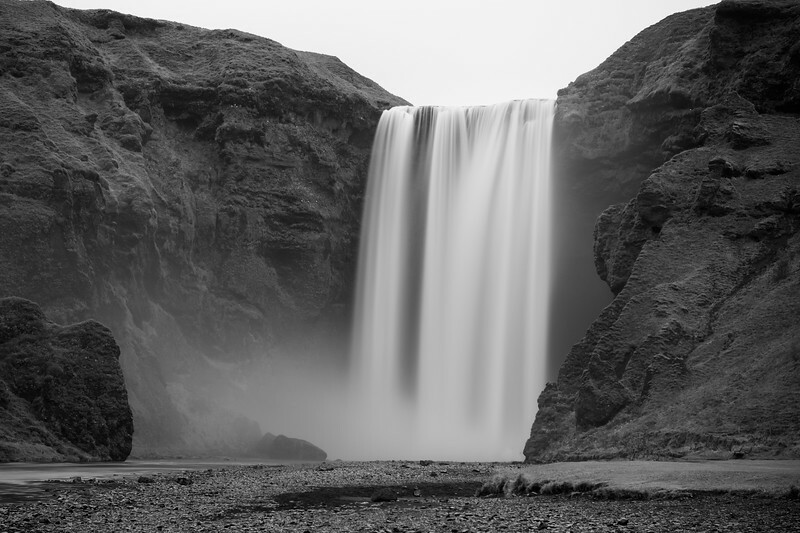 Due to the clouds and it being Iceland, my view was pretty much pitch black save for the occasional sliver of moonlight sneaking between the clouds and setting up the stunning refraction over the falls. One of my favorite shots from Iceland, but not because of the typical things you associate with the island like a crazy behind-the-waterfall shot or a double moonbow beneath the northern lights. 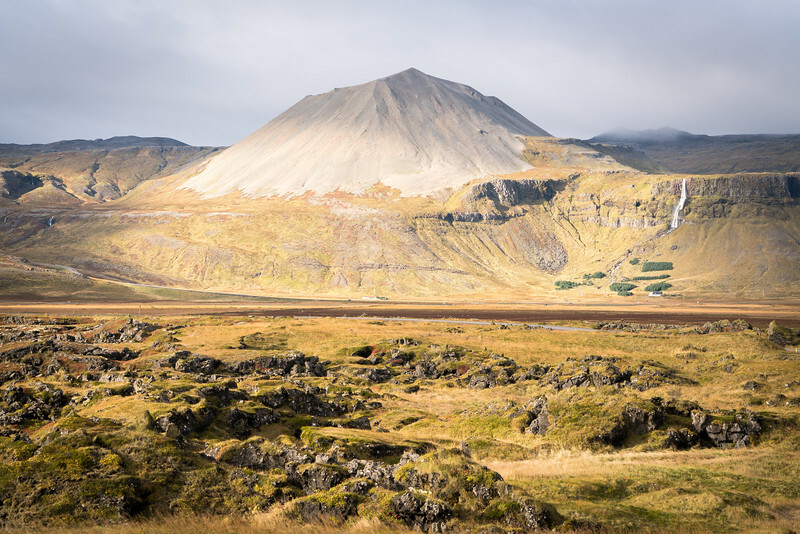 Instead, the massive scale of the dormant volcano is put into scale by the tiny farmhouse beneath it and the impressive 260 ft high Bjarnarfoss waterfall dropping partway down the side. Further realizing this was shot over 2 miles away from the mountain among its moss covered lava flows helps set the scene. And those green patches down the mountain under the waterfall? Well that's this particular landowner's attempt at re-introducing a forest to the island after the Vikings cut them all down over 1,000 years ago.